Monsters are fragmentary, uncertain, frightening creatures. What happens when they enter the realm of the theatre? 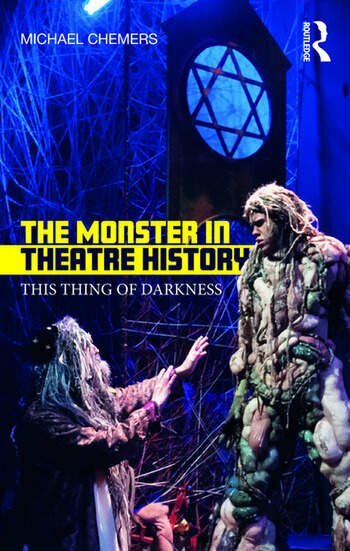 The Monster in Theatre History explores the cultural genealogies of monsters as they appear in the recorded history of Western theatre. From the Ancient Greeks to the most cutting-edge new media, Michael Chemers focuses on a series of ‘key’ monsters, including Frankenstein’s creature, werewolves, ghosts, and vampires, to reconsider what monsters in performance might mean to those who witness them. This volume builds a clear methodology for engaging with theatrical monsters of all kinds, providing a much-needed guidebook to this fascinating hinterland. Michael Chemers is an Associate Professor of Theater Arts at the University of California Santa Cruz, USA.